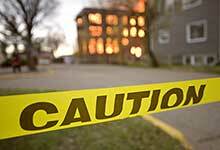 Event fire safety is something that can be provided by a professional fire safety company. There are groups out there that provide fire extinguishers, vehicles, manpower, and more so that you can put the fire emergency detail in their hands while you focus on what you need to as far as successfully entertaining your guests. The guidelines for event fire safety are going to slightly vary depending on where your activity is taking place. Indoor activities are going to require different implements and actions than what outdoor events do. However, by being properly prepared and following the strategies listed, you can be the difference in saving your event from catastrophe. For both indoor and outdoor fire event safety, you have to put someone in charge of notifying the emergency response teams in case something happens. Chances are, if the problem is big enough, everyone with a cell phone will be calling for help. However, you should designate one of your own team members to take on that role just to be sure. Indoor locations are going to most likely be equipped with some sort of alarm system. Assign a person to the task of setting off these warning devices in the event of a fire. They will have to pull alarms and also supervise a safe and effective evacuation of the building. It is common for guests to go into a panicked state if a fire occurs. The assigned person should work to keep everyone as calm as possible. When planning an indoor event, there are two main things to take into consideration when sending out invitations and setting up the venue. All buildings are going to have a maximum occupancy. You have to ensure that there are not more people inside the building than what can be safely evacuated. Too many people make it impossible for a swift exit when necessary. You also have to make sure not to block off any of the exits. When setting up tables, props, and other items for the activity, you may think that a spot in front of the door is going to be the perfect place. The reality is, when it comes to event fire safety, this is the worst place. People have to be able to get out without jumping over obstacles. Outdoor events are going to be a little bit easier because the chances of people getting stuck is greatly reduced. It is still possible for fires to break out though so you have to be prepared. Set up fire extinguishers in easy to see and access locations. If your event has food vendors or areas where there are open flames, make this a focal point for the majority of extinguishers. Next, consider bringing on a fire safety vehicle. There are businesses out there that specialise in event fire safety and they have trucks, four-wheelers, and other vehicles that can assist with gaining access to fires as well as putting them out. If you do not want to hire a professional company due to budget or cost restrictions, ask around and see what people you know have available for use. As long as you are properly prepared, you should be able to host your indoor or outdoor event with the worry of fire weighing on your mind. SK Fire Protection is a leading fire and safety equipment specialist business based in the UK. The company has established over 60 years of experience in the industry of fire safety. The customers that they are service are located both locally and nationwide. S K Fire Protection has built a solid reputation due to their exceptional quality of service. They strive to provide all of their clients both big and small with the same level of service. To learn about all they can do visit http://www.skfireprotection.co.uk/.